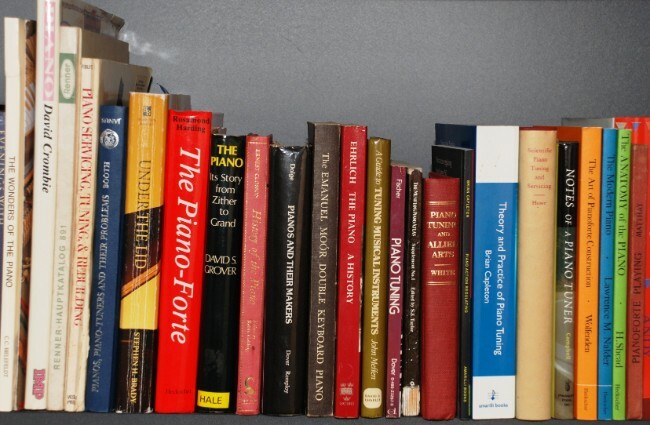 This page is about books covering history and development of the piano and other general piano information, as distinct from works on tuning and repair, reviewed on the Technical Books page. There seems to be a mystique about piano serial numbers - some people have the idea that manufacturers must record their serial numbers in a book. Not so at all. By labours of love, individuals in the UK, the USA and Europe have collated information from manufacturers to compile lists of serial numbers along with years of manufacture into a book. 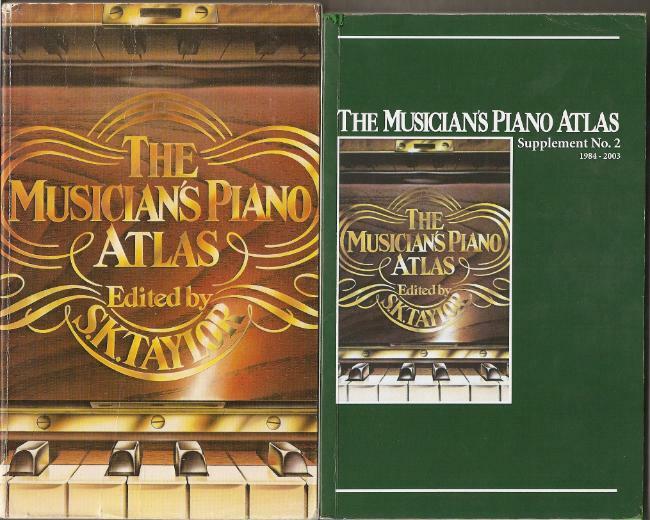 By a gentleman's agreement, The Musicians Piano Atlas above, omits USA makers except Steinway. 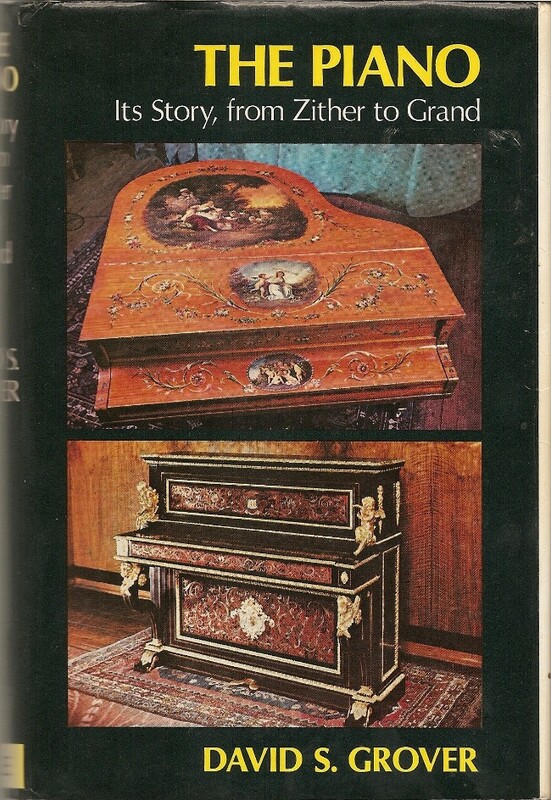 Reciprocally the US Pierce's Piano Atlas focuses on American makers and doesn't cover English-made pianos. These are specialist publications, and some information can nowadays be found online. Piano serial number books cover the main makers and some smaller ones, but many small makers have long since disappeared leaving no records. This is a gorgeous book. Beautifully illustrated. 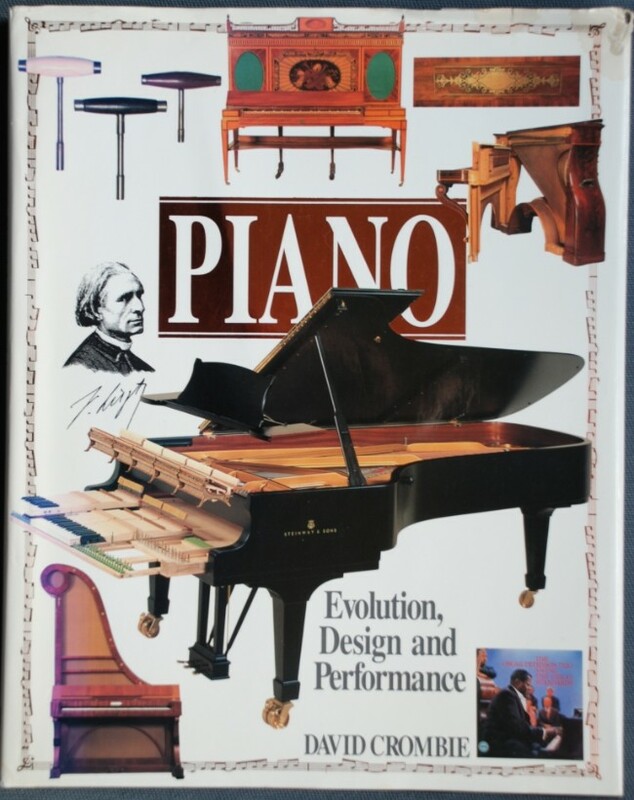 It is a pictorial history of the piano, and the author has sourced (or taken) photographs of every conceivable unusual instrument that occurred along the way. There are excellent exploded diagrams showing how things work, and a section giving brief history of and comments on all the main makers. For anyone with a general interest in the piano this is a super thing to have. The page size is large - 32cm x 25cm so there is room to reproduce photos at a good size. There are also some fold-out pages which do justice to large-size reproductions. I am showing some pages below for the purpose of this review (as permitted by the Copyright, Designs and Patents Act 1988 ). Sadly it seems to be out of print now, so you'll have to source a secondhand copy. Also check out David Crombie's excellent World Piano News website. There is an iBooks version now available. 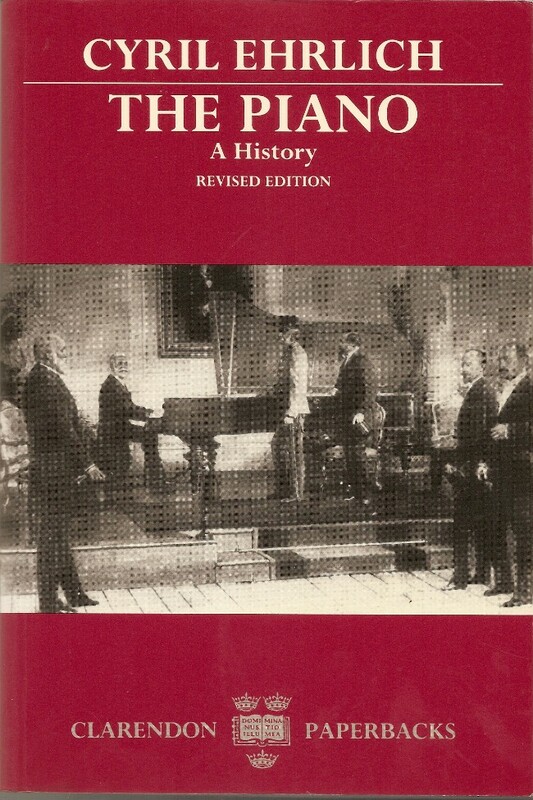 An important historical text written by a leading figure in the American piano industry at its peak - the same era in which piano making in the UK and Europe reached its zenith. It's loaded with information about the development of well-known makes and the people behind them. I think only the paperback edition is available now, and an online PDF version. For more than a century the piano occupied a dominant place in music and society. Professor Ehrlich follows its fascinating history from the fortepiano of Mozart's time, through the Victorians' `household orchestra and god', to the most sophisticated modern products of the Japanese manufacturers. His protagonists include barnstorming virtuosi, fashionable ladies and aspiring clerks, the great makers and the back-street `garrett-masters', distinguished musicians, and hire-purchase touts. Originally published in 1976 by Dent, this book has now been updated and revised by the author in the light of developments of recent years. NOTE: The Moiré pattern on the cover photograph is an artefact of scanning the book cover. This can been seen also on some other photos in the Books pages. It's an interference pattern between the original printing process and my scanner. The Piano, Its Story from Zither to Grand David Grover, Hale, date? 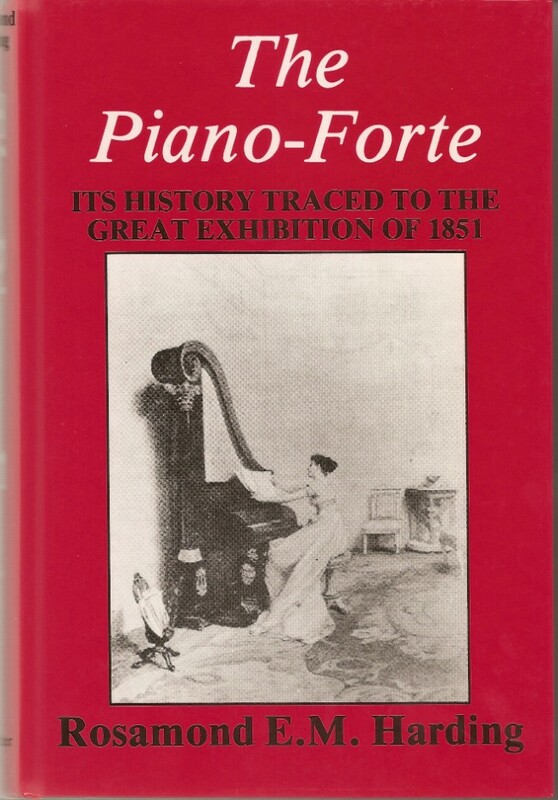 An informative and interesting work by David Grover, whose family owned the Bentley piano company. There are several sections of black and white photo plates on high quality coated paper. Out of print. OK, well, as you might expect from the title, this solid tome is not a light entertaining read! This is a scholarly work, originally published in 1933 and revised in 1978 (forty years ago, erk!). 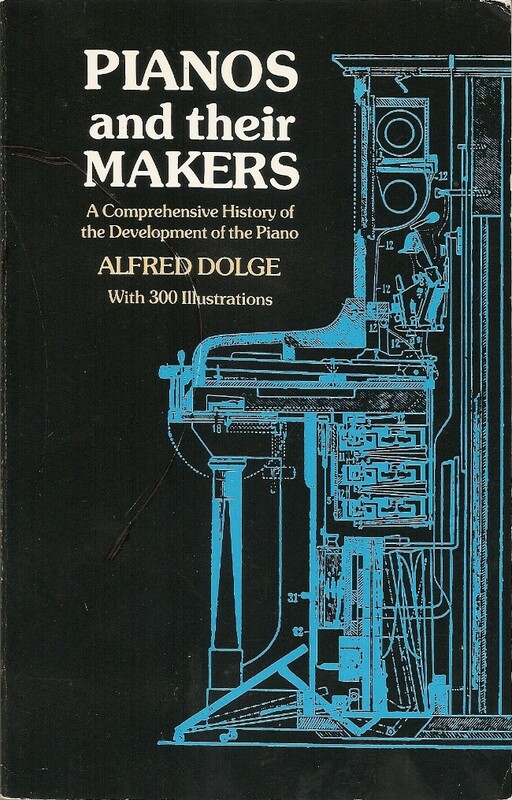 It has lots of good diagrams of early piano actions. By 1851 the piano was essentially what we have today, and this work traces the development of the instrument to that point. It might be noted mind you that Carl Bechstein, Julius Bluthner and Henry Steinway, three of the most influential piano makers in history, all started their businesses two years later, in 1853. Not that modern - first published in 1927. But by then piano design had stabilised into what we have now, although today's pianos may employ new materials. 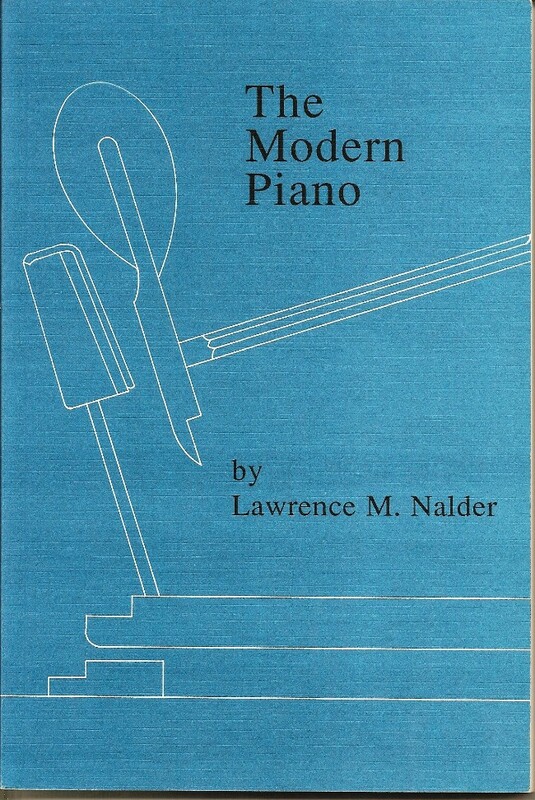 Good drawings showing the development of the modern piano actions through older types. Available from Martin Heckscher. 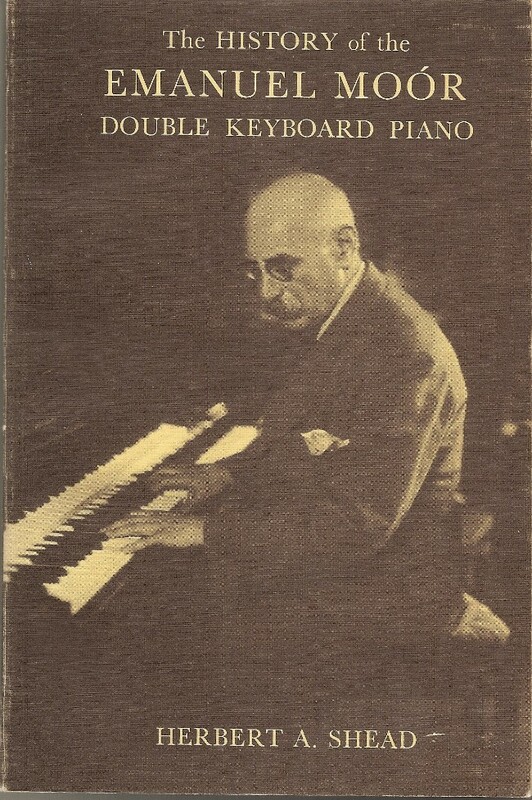 Well folks, if you want a book about the extraordinary double-keyboard Moór pianos, this has to be it! It's the only book about these pianos, as far as I know. And it's out of print. Several piano makers had a go at making Moór double-keyboard pianos. Steinway only ever made one, which has been restored and you can see a Youtube clip of it on my Pianoddities page. Pleyel and Bechstein made 22 and 19 Moór pianos respectively and Bosendorfer made 10. The book contains a fold-out technical drawing of a Bechstein Moór action, and it's frankly a bit mind-boggling. Pity the poor technician who had to look after these!